You might've noticed I don't suffer fools gladly: fools who think Conan the Barbarian was a faithful or even superior adaptation, morons who think Howard would've sympathized with Hitler, dunderheads who think Howard ripped off Tolkien. Of course, it isn't only the trolls of the internet which make these stupid errors: apparently, so do "geniuses" like those at the Colloquy Society. Now, I'm not anti-intellectual by any means, but I've had a really rough time of it with them. In high school, it was the people in my group I was most alienated from. I was in all the top classes, but I couldn't stand half of the people in them. They were cliquey, frivolous, arrogant and had the teen cruelty down to a fine art: being able to bully without actually bulling at all. Little things, like snide remarks, cold shoulders, subtle sabotage. Teachers were prepared to deal with bruises and name-calling, but they were powerless against that most sophisticated of cruelties. I didn't really like high school at all. There were a few friendly enough folk, and in the end I can't blame them - adolescence is a hard time for people, and all the hormones and psychological turmoil means they might be far crueller than they intended. Ultimately I got on far better with those in classes lower than me, even those in the lower classes. The guys who didn't get 95% in maths or an A in history, who were often in trouble for scraps and fighting: these were the guys who were most accepting of my idiosyncrasies. 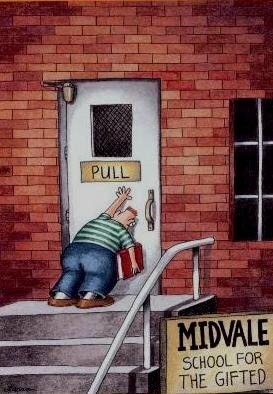 Sadly, some people don't grow out of that obnoxious period, who view their superior grades with little humility and a misplaced sense of entitlement. Such is the case with the Colloquy Society, who are a community where only the best and brightest get in. Best and brightest, meaning, those who have the highest IQ tests: this would exclude the likes of Charles Darwin, Richard Feynman and William Shockley from their illustrious ranks, seeing as they have above average, but not genius-level, IQ scores. Reading their website just brings back those horrible memories. But how did I come across this site? Well, a few posts ago I was discussing Howard's rebuttal to Harold Preece regarding historical women, when Francisco asked me why the famous female polymath Hypatia of Alexandria wasn't included. Curious, I went through REH's letters and stories: no sign of her I could find. I then checked out the internet (where I found the Preece quote), but I also found this. It's your typically snooty discussion of belief mixed with some genuinely insightful stuff, however, my eye was drawn to mention of "I always thought that was quite Freudian of Robert E. Howard." What could this be? OK, first, can anyone name a story, letter, fragment, or document where Howard explicitly states Crom's sword was the biggest of anyone? Anywhere? Did he even mention Crom having a sword to begin with? It can hardly be Freudian of Robert E. Howard if he never said anything of the sort to begin with. What absolute nonsense coloured to play on the anti-Howardian prejudices of his fellow literati: the implication is that LDL thinks nobody with an IQ over 140 would ever read REH (indeed, I doubt he has himself), and that he thinks he can make things up with impunity. Well, he can't. Then there's "little shrimp." I guess "LDL" and I have very different ideas on what a little shrimp is . Yeah, look at that tiny dude! Look at his bony mummy-arms, pencil-neck, pigeon-chest and weeny little face! I bet he's never even seen a boxing match, let alone participated in amateur bouts, and he certainly wouldn't have an undefeated streak! Then there's Mama's Boy. I love how looking after your terminally ill mother when your father is away from home for weeks at a time in the middle of nowhere during the Great Depression equates to "Mama's boy." Because, of course, Howard should've just abandoned his tuberculosis-ridden mother to her fate in pursuit of his dreams like a real man. Of course, De Camp didn't exactly help matters, did he? Finally, he "offed himself" going by the old nonsense of Howard being so emotionally crippled that he couldn't deal with life without Mommy. I guess all those references to killing himself from the age of 16 and the high possibility of clinical depression are all to throw us off. Le sigh. I really can't say anything. That says it all, doesn't it? "High IQ" intelligensia who get basic facts wrong, and even make stuff up. If ever there was proof that high IQ (incidentally, there doesn't seem to be any way of proving any of the contributors really have a high IQ) is no guarantee that you can't do or say stupid things, it's this. Unfortunately, proliferating high-IQ groups have all too often failed to satisfy criteria for true intellectual society, where thoughtful consideration of ideas would banish ad hominem rantings of bigots while nurturing free and civil discussion. You mean ad hominem rantings like the one you throw against Howard - false ad hominem rantings, to boot? Yeah, if being intellectual means being arrogant, patronising, and disdainful of little things like "facts," "courtesy" and "accuracy" I'd rather stay in the doldrums of double digits IQ. Now, I can see some criticism coming my way - "but Al, don't you do this yourself: aren't you dismissive of opinions different from your own?" And you'd be right, I am thoroughly disdainful and can be relentless in my criticisms. However, there's a difference: my opinions are backed up by fact and reasonable hypothesis. My opinions on Howard are based on up-to-date research and critical thinking. LDL's opinions are not only based on false, decades out-of-date premises: they're done in such a way that gives the impression LDL knows the subject fairly intimately. I could blame the Lancers for this, but it doesn't reflect well on geniuses to make offhand off-colour remarks like this. I understand that a certain class of the intelligentsia delight in lancing less sophisticated individuals with their supposedly lacerating wit, but I can assure you that none of them ever tried that on me. Any one who deliberately starts out to bait me needs something besides mere intellectual superiority. I have tried to make it plain that I have no indiscriminate prejudice against true intellectuals, and it is true that I regard even the would-be intellectuals with tolerance, or at most only amuse- ment. I have been rather disgusted with some of them, but the feeling never amounted to actual enmity. In fact, I’ve rather liked all I ever met, though some of them didn’t like me. My habits and opinions seemed to shock most of them to their quivering souls - I am speaking here of the intelligentsia, or baby-intellectuals, as they might be called. 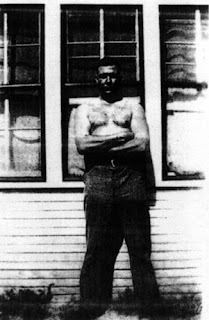 The baby-intellectuals of the Colloquy Society have a lot to learn about Robert E. Howard. It would be nice if they tried, but frankly, I doubt they'd deign him to be worth the effort. I'd love to be proven wrong, of course: it'd be nice if someone from Colloquy came around and said "we're not all swaggering blowhards who shoot from the hip on subjects we know nothing about": the gauntlet is thrown down. Come on guys, give me reason to have hope for intellectuals. Am I taking this all to seriously? Surely you jest: Robert E. Howard is Serious Business. they are probably too busy trying to convince other people they understand Proust's "in search of lost time". The kicker is, the people they are trying to convince probably haven't read it either. Clearly I can see that the emperor's new coat is fantastic.. and if you can't then you are a flibbitygibbit. I've never ceased to be amused with these emperors new clothes sort of chappies. this brings me to a further point.. I nine times out of ten will instantly dismiss anyone who uses the word " Bourgeois " more than once in a paragraph.. I was used to seeing, in my isolation, one or two disparaging remarks about REH during my life, but I had NO idea the depth of contempt and sheer hatred for the man among some until the last few months. It's amazing to me. It's become a badge of honor, it seems, for some people to indulge in the most ignorant and disdainful calumny of a man they do not know and probably have never read. It honestly reminds me of certain adherents to a particular political persuasion in that, no matter what the facts are, their minds are locked in and their responses are predictably partisan and indulge in either flights of fantasy or vitriol. In the past (I believe) Howard was looked down upon by the elites as a "mere" pulp fictionist but the levels of sheer poison directed against his name and his work (what little they apparently know) seem to have risen exponentially. It seems to have become a price of admission within certain circles. Perhaps this is a reaction to those who wish to elevate his status in American letters which is, in turn, a reaction to past out-of-hand rejection. "These ignorant barbarians DARE to assail our sacred gates?!!! Bring out the Poison Pens!" Pardon my rant, but a lot of this character assassination is new to me. I'm glad there are those fighting for the truth out here. And for what it's worth, high school sucked balls. What I find interesting is the constant assumption that Howard was a weedy little git. I've heard that one several times (more than several), and considering the proliferation of photographs of the man online, it's ridiculous that it keeps coming up. It's as if, due to the subject matter of his writings, he HAD to have been a physically inferior specimen. Y'know, like how Hemingway was a shut-in and Arthur Conan Doyle didn't have a clue. I tend to get turned off right away when a critic starts to drop the"isms". I know that their views are already tainted by their narrow, unrealistic view of the world. If one of these pointy-headed intellectuals was transported through time to ancient history they would be made to row for a Roman galley or would be some emperor's catamite. Then their view of the world would change quickly. I don't understand the mentality of tearing down things just for the sake of tearing down. Maybe it's a way of feeling in control of superiority. But in the end it's hubris. This reminds me of how eggheads like Isaac Asimov and Damon Knight supposedly hated Howard's work because of what they perceived as an anti-intellectual bias. I admit it's hampered my ability to read their work with a clear mind (though I think Asimov is much too dry anyway). Lagomorph, took the words right out of my mouth. "Bourgeois" is particularly irritating since it has so many definitions and applications. How would you like to go to a world where men are mighty, women are beautiful, problems are simple, and life is adventurous... And where nobody so much as mentions the income tax or the school-dropout problem or atmospheric pollution? ... Fiction of this genre is pure entertainment. It is not intended to solve current soial and economic problems; it has nothing to say about the faults of the foreign-aid program, or the woes of disadvantaged ethnics, or socialized medicine, or inflation. It is escape fiction of the purest kind, in which the reader escapes clear out of the real world. It's really hard to argue how Sword-and-Sorcery can be so much more than puerile adolescent wish-fulfillment when, for years, the very introductions of those books were saying "No, there's nothing here worth ruminating over on an intellectual or philosophical level, just pretend your Conan and get some enjoyment out of your existence." It's going to be the subject of another post: I guess it's been done to death in REHupa and other Howard institutions, but I need to say my piece about it too. Josh: dare I say, it's a bit "Freudian" of them? That the only way one can write of mighty warriors and heroic adventures is if the author was a weedy little git? Almost sounds like projection to me. Atom Kid, that reminds me of - Ellison or Hubbard - saying that as much as SF authors would like to think, men with swords have done more to change the world with brute force than anyone else, or something along those lines. Andy, I'm an Asimov fan, but I'll readily admit his deficiencies (like I admit those of any author's). His great work is vastly outnumbered by his inferior or pedestrian (for him, at least) work. I hadn't known about his apparent dislike of Howard, but given what I know of the guy it doesn't surprise me.